There is so much going on in this photo – Wow! 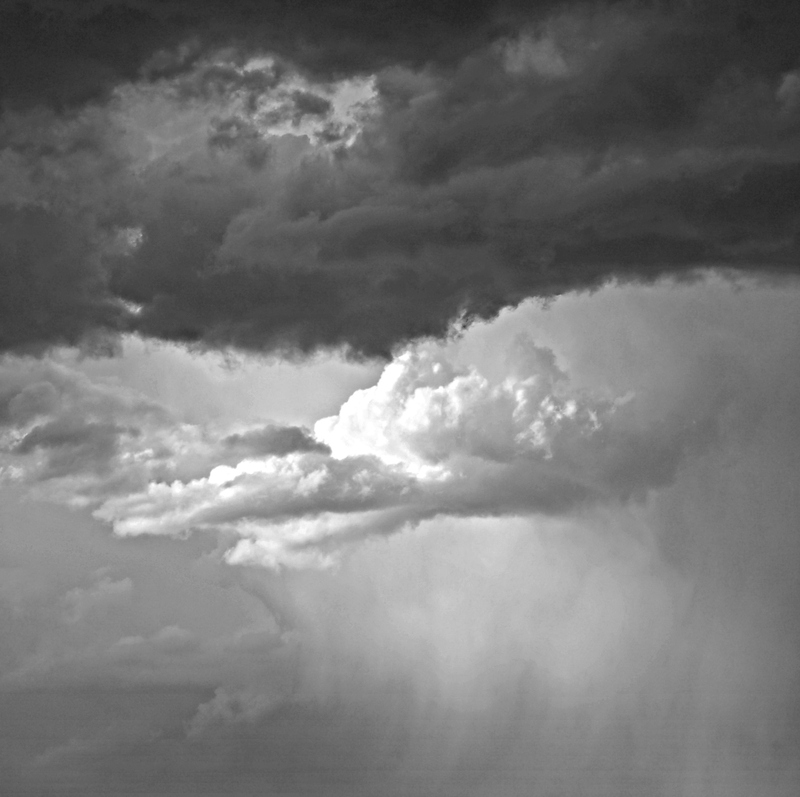 Stark contrast of light and dark clouds – like the “replenishing drops” too. Lovely layering and movement. I like the black and white contrasts a lot. Beautiful capture and your poetic response to the glory of the Nature. So dynamic and dramatic – great shot. Just in the nick of time…it rained a few moments later!